The owner and chef of the popular restaurant, GRESCA located in the central Barcelona city. His cuisine is disarmingly simple with no unnecessary decoration that may even surprise guests with plentiful experiences in other exclusive restaurants. 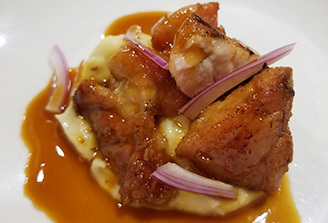 The taste idea that he wants to communicate is clear and balanced with its sophistication, his dish is considered as one of the most excellent modern Catalan cuisines. 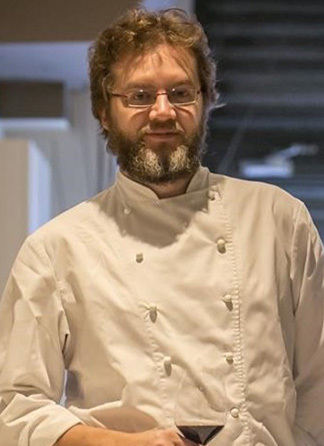 In 2000, he learned classic French cuisine at Pierre au Palais Royal in Paris, then worked at Rolfs Kok in Stockholm, where he has gained the knowledge of Nordic cuisine. In 2007, he opened GRESCA with his wife; Rafa as a chef, Mireia, his wife, handled the dining. After two years of managing the restaurant just by themselves since its opening, their reputation spread through word-of-mouth, and it has now become a popular restaurant even difficult to reserve. 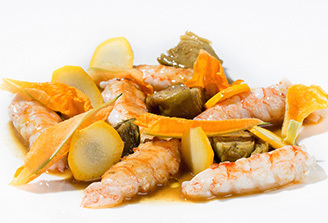 Rafa offers contemporary, simple, and creative Catalan cuisine inspired by cuisines around the world. “To cook dishes that he would love to eat using best seasonal ingredients,” he states as his motto. When GRESCA was opened, it was impossible for him to cook complicated dishes as he had no employees. He needed to create simple dishes that could be prepared just by himself. He prioritized the most important thing which was what had to be perfect and simplified it by subtracting frills and unnecessities. This idea and method have ended up being a virtue and Rafa’s identity in his cuisine. His cuisine may even seem to be outside of trends though it’s natural, wild, freed from structure, and straightforward without oppressing gestures. His dish expresses his honest character and his pure love for cooking. 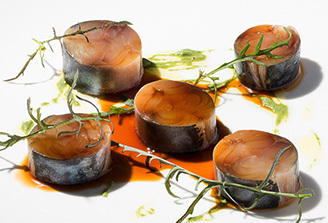 2007　he reached at the final stage of the Best Restaurant in 2007 in Madrid, Fusion.